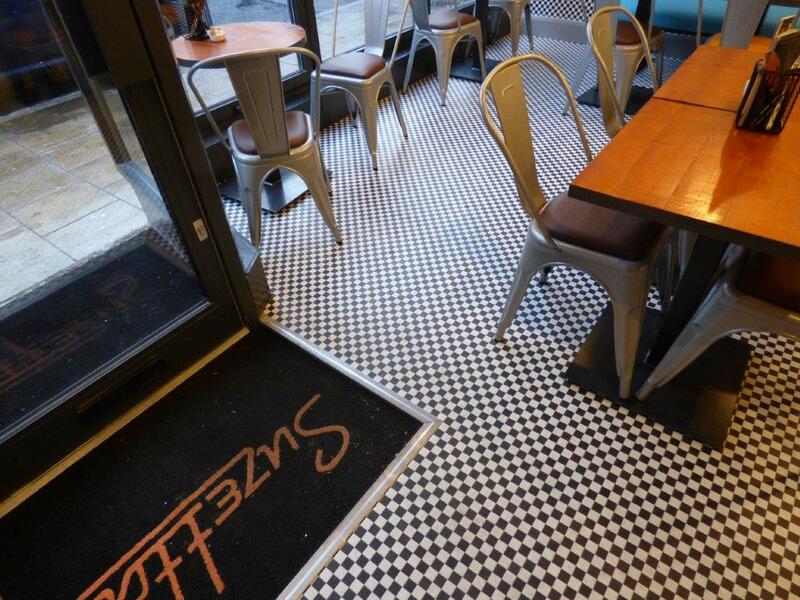 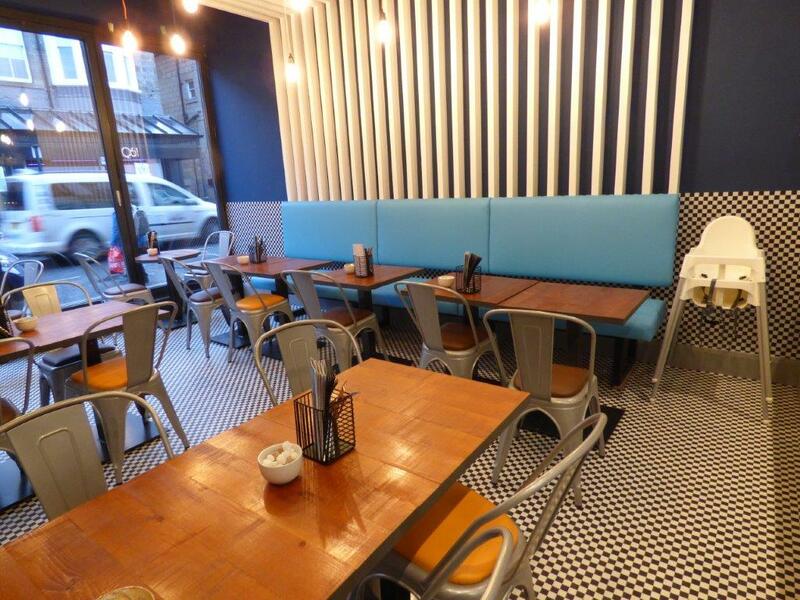 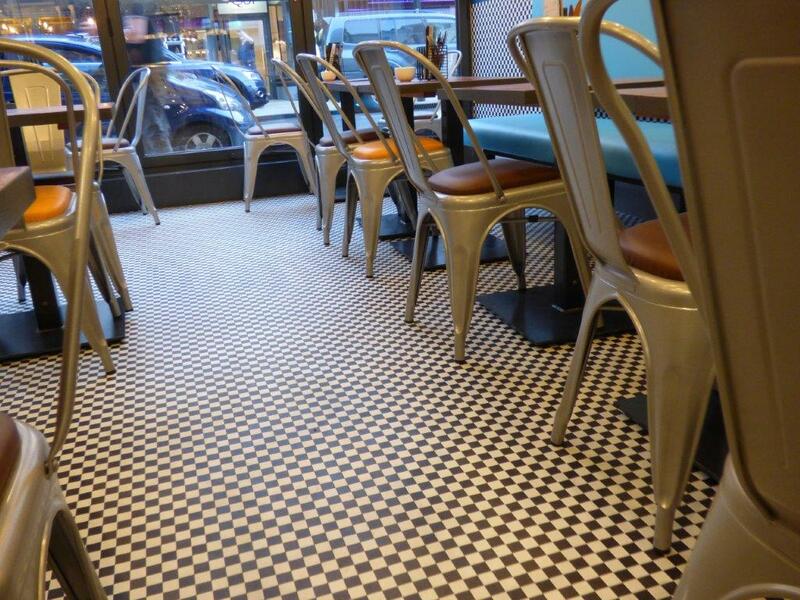 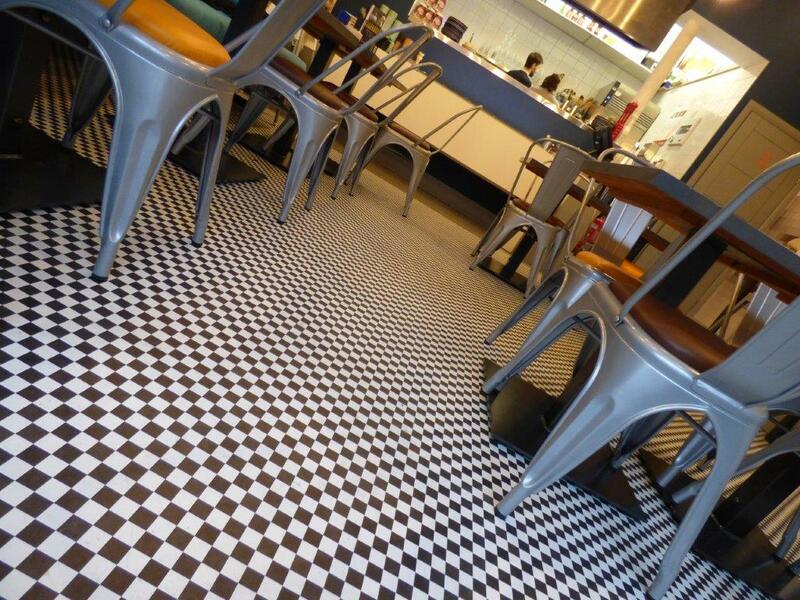 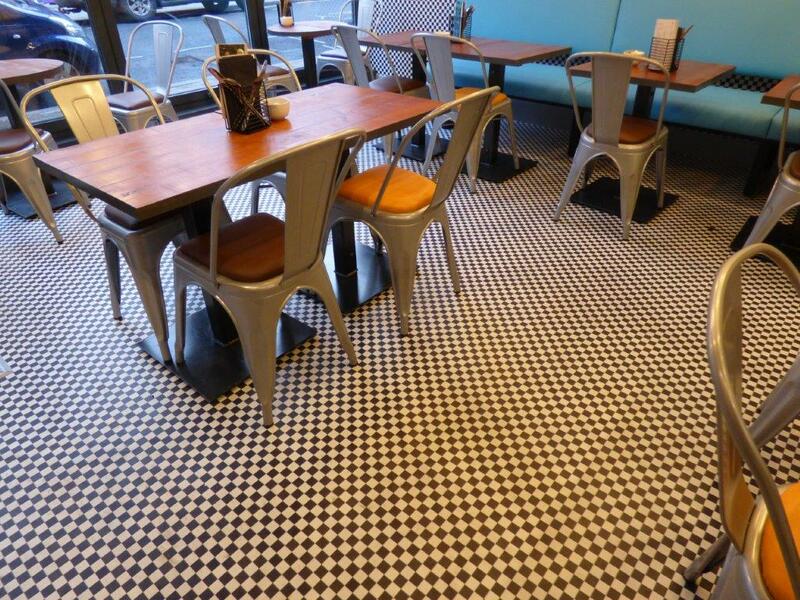 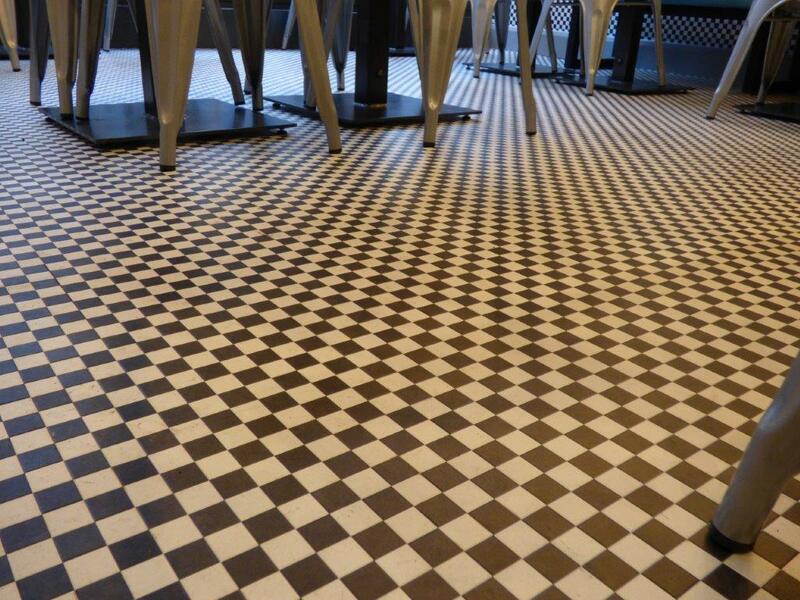 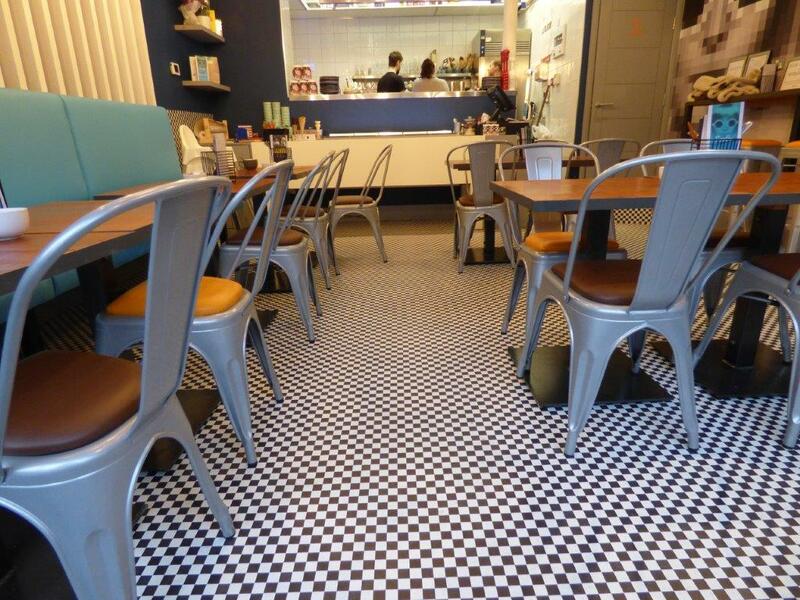 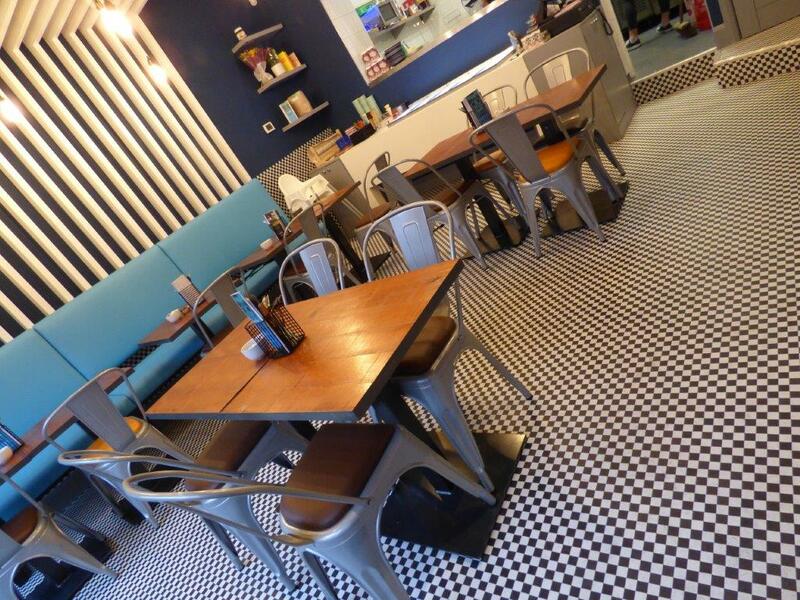 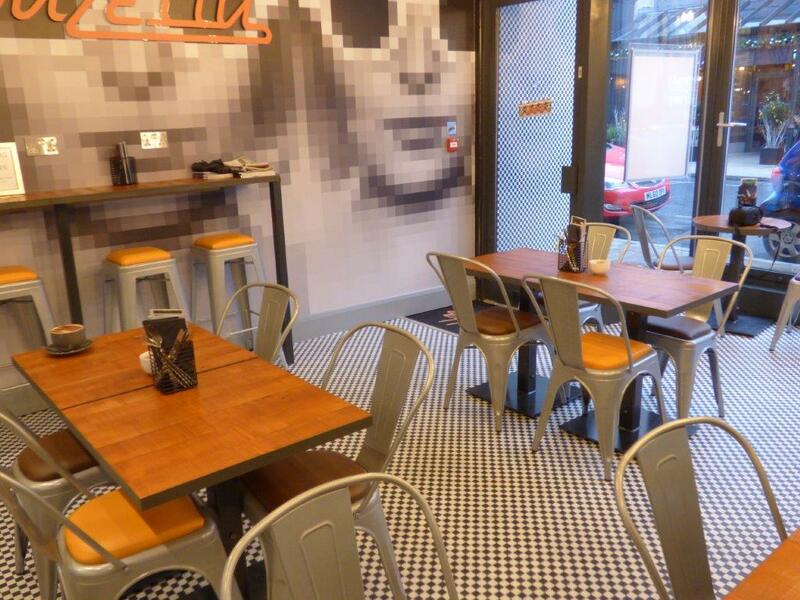 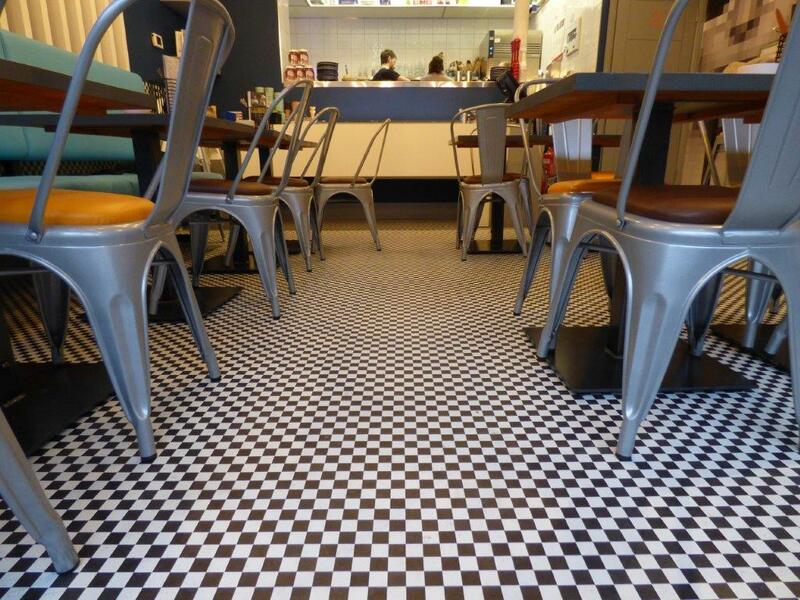 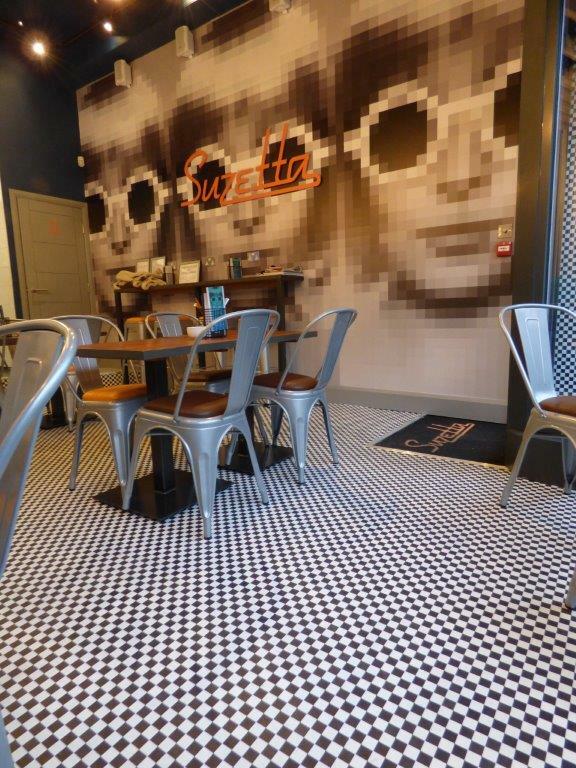 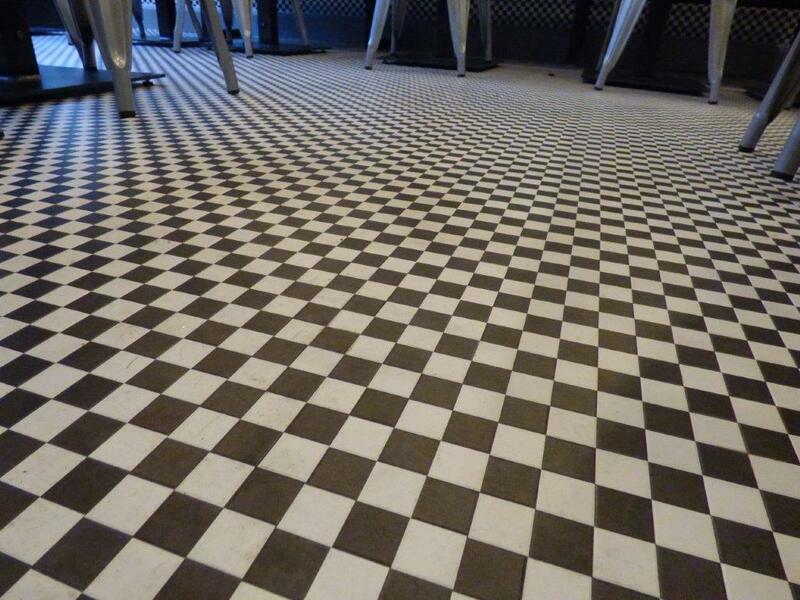 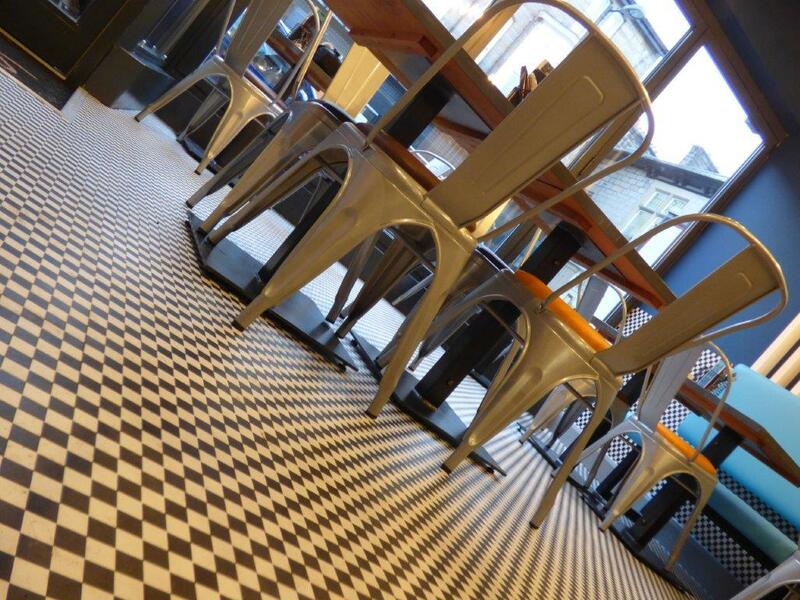 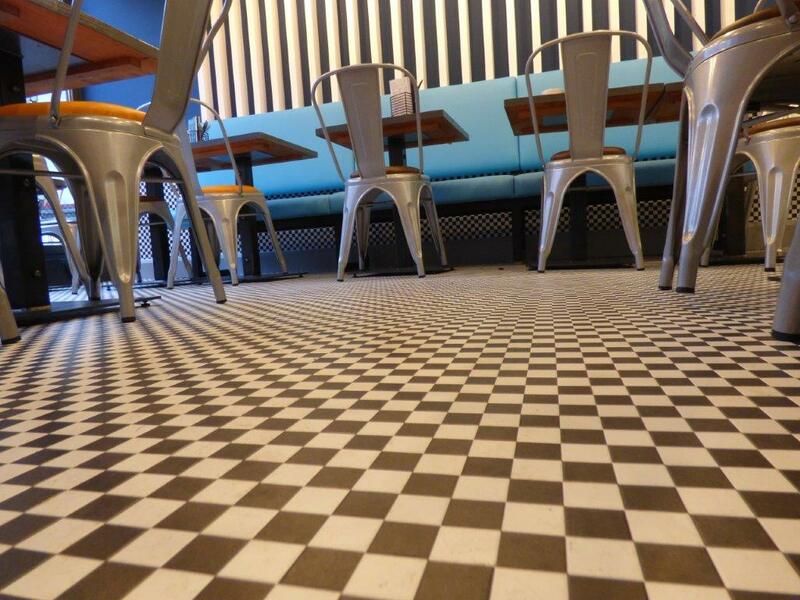 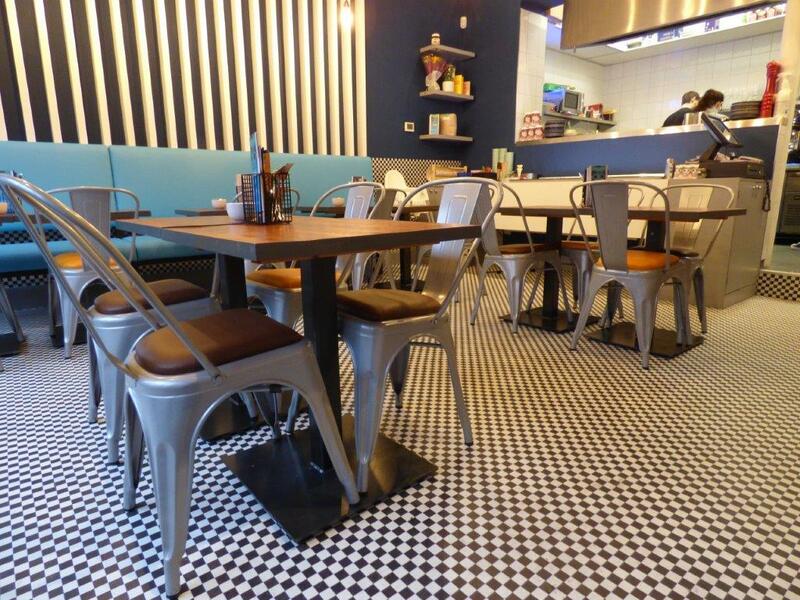 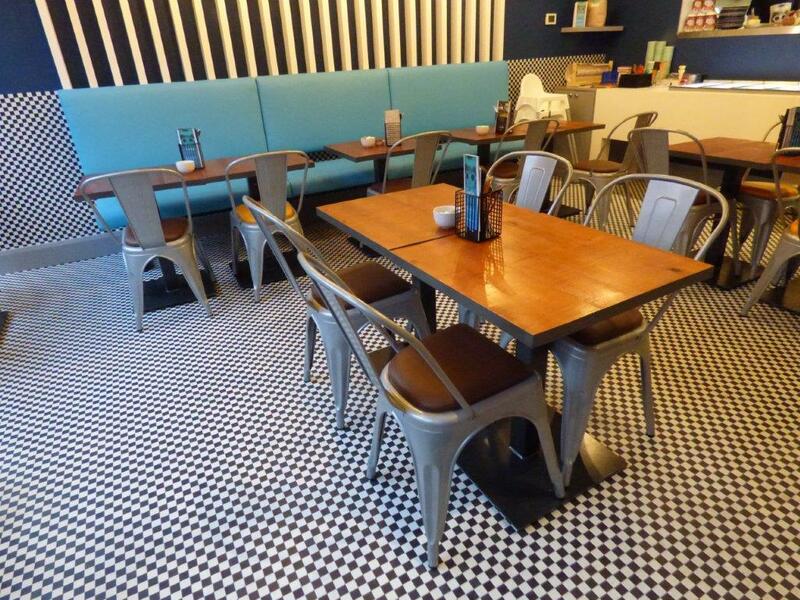 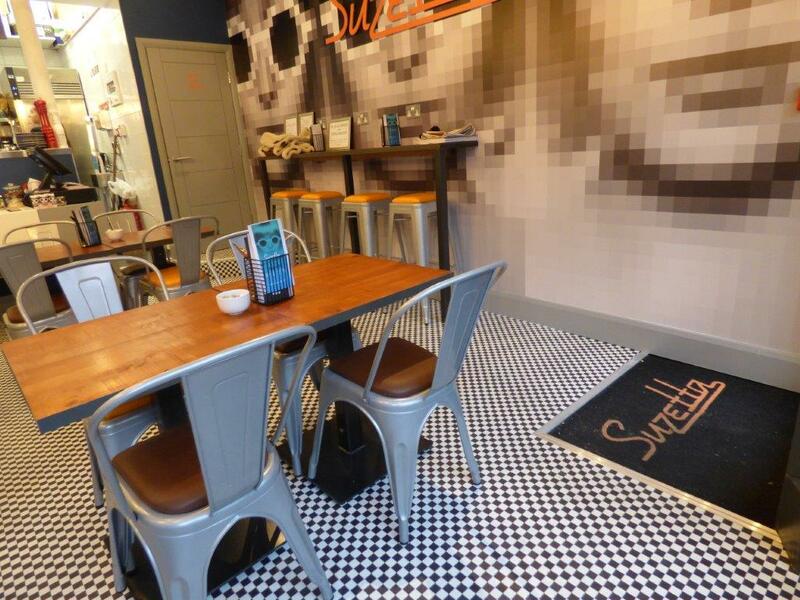 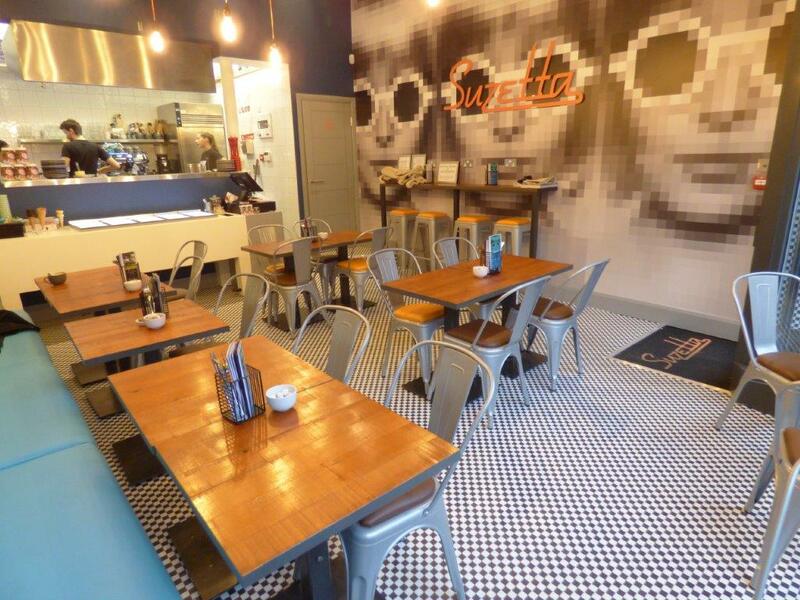 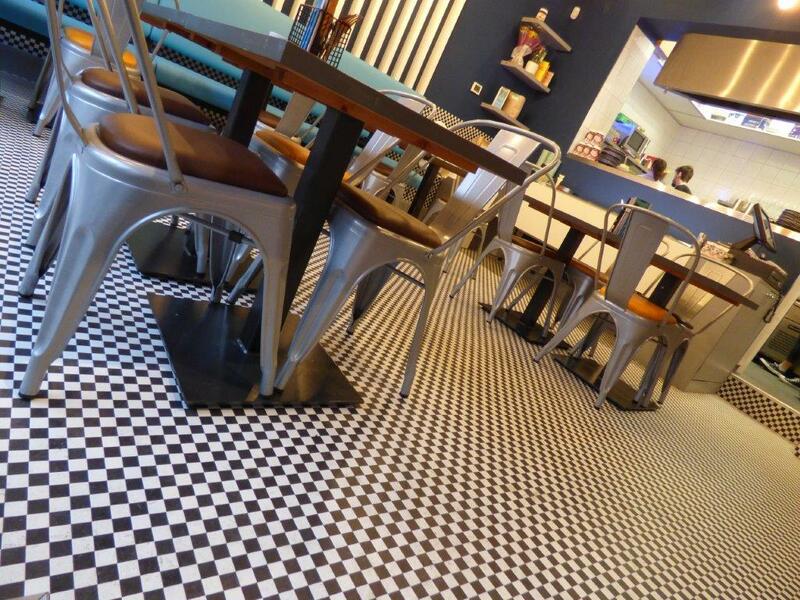 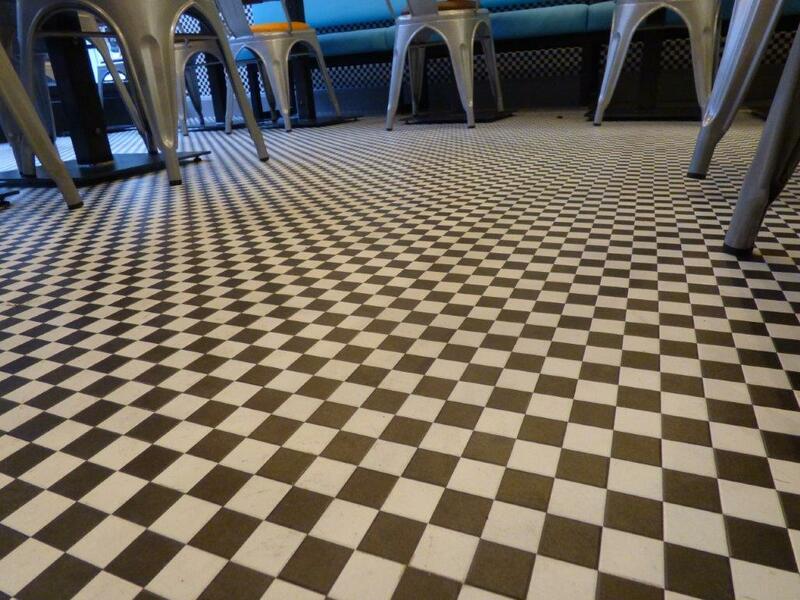 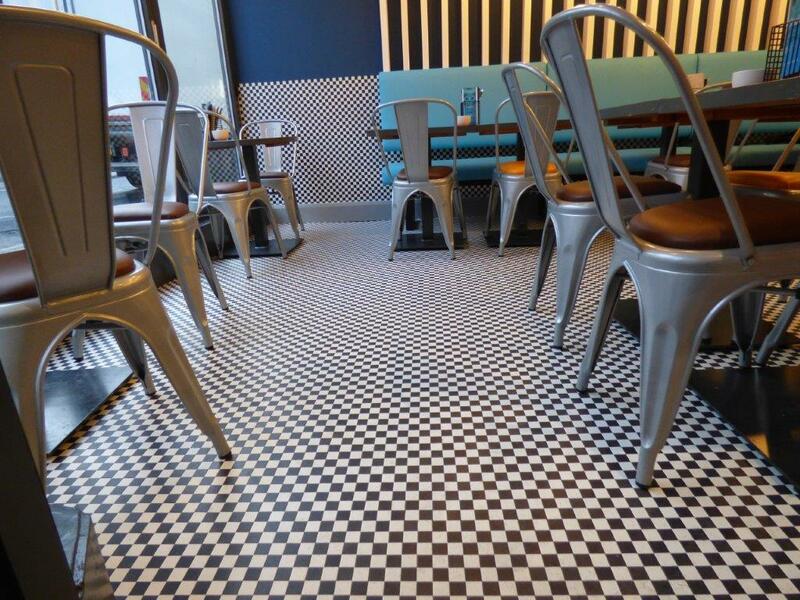 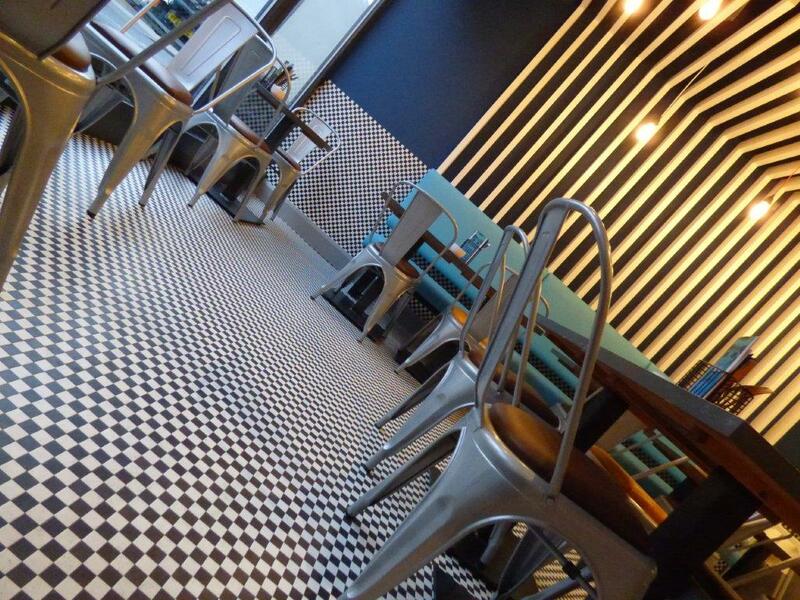 Over 40,000 individual 1″ x 1″ Karndean Vinyl Tiles tiles were fitted in this eye catching and rather dazzling installation at the new Suzetta Coffee lounge in Harrogate. 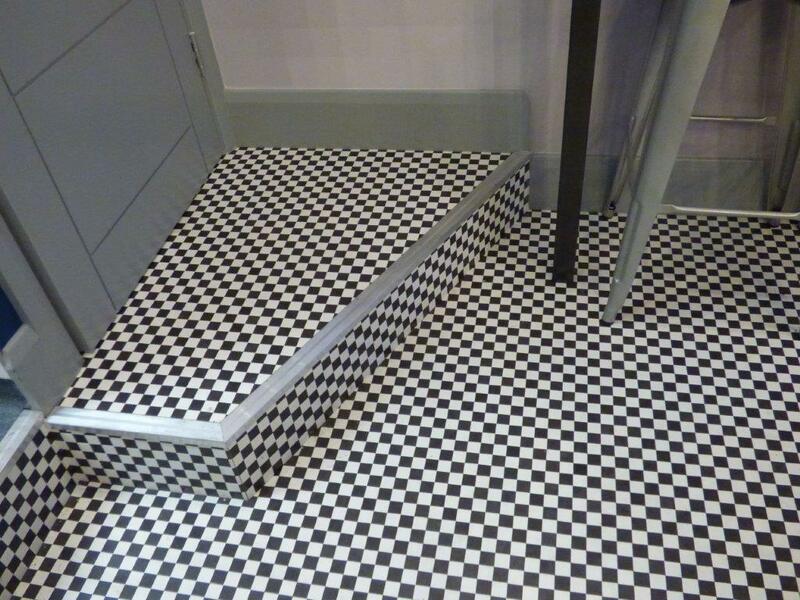 Fortunately the tiles weren’t fitted one by one but the installation team of two worked together to ensure there wasn’t any gapping and everything lined up perfectly. 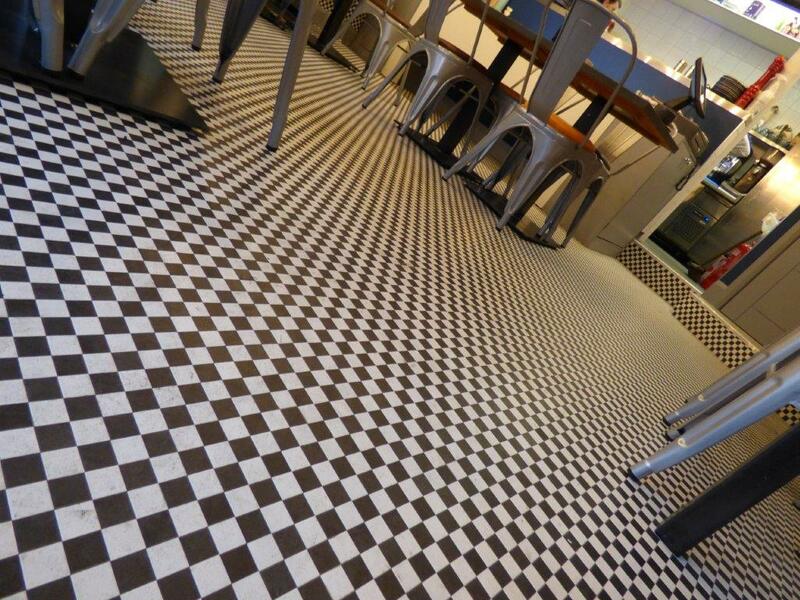 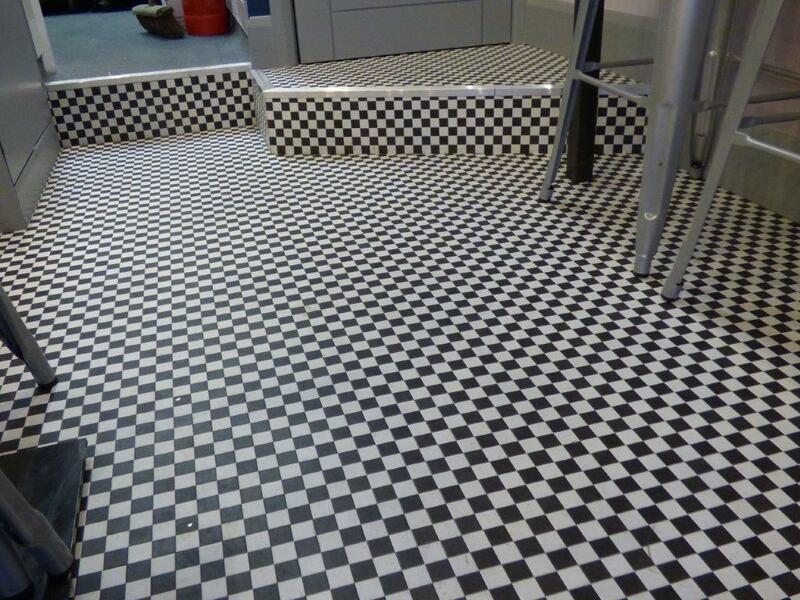 A great job on a new design option for Karndean.